The Schedule below is subject to change, so please double check the starting times. Looking forward to seeing you. Bring your ideas. The Current Events Club meets Thursday from 10:30 AM until 12 Noon in the Library where they politely discuss a wide array of issues in the news. They meet the first and third Tuesdays of the month from 10:00 to 11:30 AM in the library. Join us for some fun and exercise, playing this exciting new sport. Extra paddles are available. Free lessons for those interested. All are welcome to play at any time. Til then, see you on the courts. HP Open Mic Sessions: The First Tuesday of the Month, it starts at 11 AM. The next one will be May 7, 2019. Residents will have an opportunity to talk with members of the HPA BOD in the Ping Pong room. If you have questions, suggestions, or if something is troubling you, make it known to an HP Board Member at this open forum. Did you know we have a Huntington Pointe Women’s Billiards Group who play on Wednesdays at 10:30 AM? For more information please contact Bobbie Sherman (email: nanapapasherm@aol.com or call her @ 561-637-6828). ZUMBA! 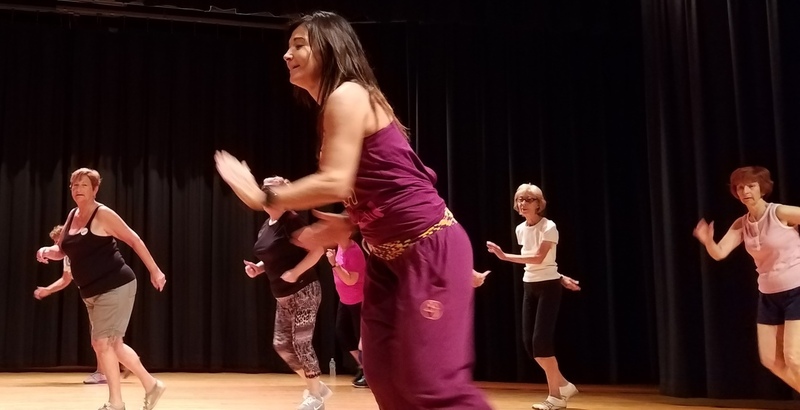 Dance your way to fitness. 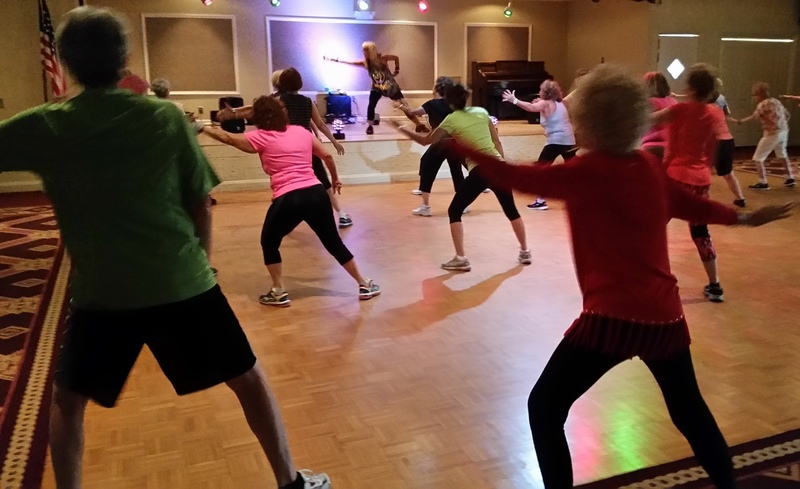 Classes are free and they are from 8:30 – 9:30 AM on Tuesdays and Thursdays in the Ballroom.